Generates the square function for any real number. The value of the square function for the given value of x. The following equation defines the square function. 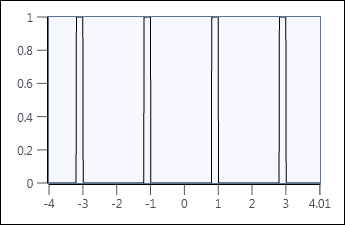 The following illustration shows the graph for square(x) * square(x - 0.8) in the interval (-4.0, 4.0).